During law school, Scott Kalkin clerked for the California Department of Justice for three years. He worked on a wide variety of cases pending before the California Supreme Court and various courts of appeal. After meeting Constantin Roboostoff in a martial arts class in 1983, Mr. Kalkin also clerked at the firm of Roboostoff & Allen, where Mr. Roboostoff was a senior partner. After graduating from law school, Mr. Kalkin was hired by the firm as an associate. Mr. Roboostoff and Mr. Kalkin established their law firm, Roboostoff & Kalkin, in 1988. In 1989 Mr. Kalkin was elected to the Board of Directors of the San Francisco Trial Lawyers Association and became its president in 2003. He remains active in the organization. Mr. Kalkin has also served as a judge pro tem for the San Francisco and San Mateo County Superior Courts since 1990. 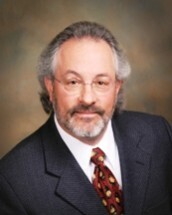 In 2008 Mr. Kalkin was inducted as one of Northern California's Super Lawyers, http://www.superlawyers.com/. He is also AV rated by Martindale Hubbell. Mr. Kalkin practices in the following areas of law: Disability Claims, ERISA Litigation, Personal Injury, Civil Appeals, Insurance Bad Faith and Professional Negligence. Mr. Kalkin has handled over 100 appeals in the appellate courts over the course of his career.